"The contemporary world, filled with agitation due to expanding populations, dramatically new technologies, and ancient challenges, is taking apart cherished assumptions and leaving little in the way of operationally useful ideas in its place. We stand on the abyssal edge of profound changes, not quite ready to jump, impatient to act, and unable to see clearly where we are going, largely because we have lost pragmatic touch with our past, or even our recent traditions. Narcissists to the last second, we can't even detect that other people depend on us for their reassurance, if not guidance. Our homeostasis has vanished and we search for some reliable ideology to banish the prevailing materialism that erodes our sensibilities and hinders our better judgment." What do the vocabulary words that I use mean? From the Greek words for human [ anthropos ] and shape [ morph ], meaning to give a human characteristic to something clearly inanimate or not-at-all-human. A habit of viewing the natural, physical, chemical and biological features of existence as a special resource for human use alone. The approach to life suggesting that humans are dominant figures, who were specially created and for whom the universe was also specifically created. Consequently humankind has a duty to exploit efficiently as many of the properties of the Earth as we can to meet our needs or improve human security. 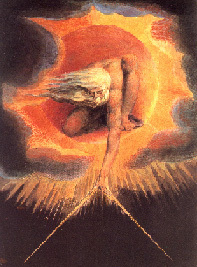 William Blake as the artist of the picture to the right anthropomorphized the demiurge, or the creative force of the world that brings form, substance and regenerative possibility into being. Here the "creator" is depicted as utilizing a compass (tool) to inscribe the cosmic order, separating it from the chaos which otherwise exists and precedes the existence of order. This he felt is the origins of the order, of which humans are part. For Blake, an 18th century mystic, artist and poet, the natural world was created and in this fabricated mystery, reflecting the creator's divine capacities of thought humankind exists. 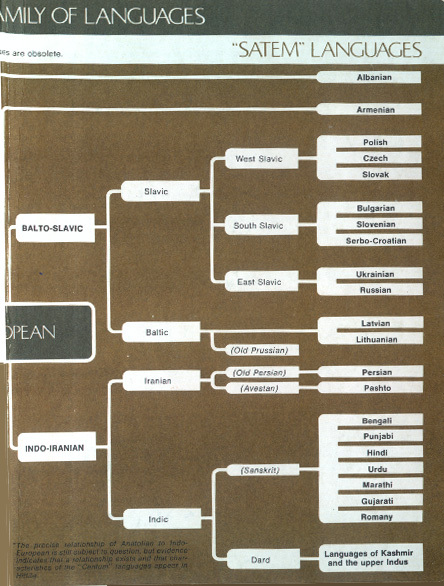 The biotic community or any biological community as referred to by European researchers. It is derived from Karl Mobius' study of the order, structure and function of the oyster reef as it relates to the abiotic habitat of a river mouth and the biotic associations of plants, plankton, benthic communities and fisheries the reefs sustain in an estuary where sea water is diluted by fresh water. Hence the term: biocenotic, meaning belonging to the common things that all life needs to survive well. The living unit of an ecosystem. Literally from the Latin word "cultus" to be part of a cult; meaning the ritual knowledge of the natural world derived from observation, sympathetic magic, and practice and esoteric methods of behavior with the purpose of instilling order, respect, duty and meaning to the lives of those who follow the teachings of the cult. The word has changed its meaning several times since 1830, see Culture. The number of creatures in a particular place, usually in area measured by the amount of square feet, or square miles, hectares or square kilometers. There is an ultimate density of carrying capacity beyond which living things can not prosper. The quality of envisioning, explaining and imagining how an organism, species, or entire community is coexistent with its surroundings, dependent on the available energy and nutrients it derives and replenishes from the living and nonliving conditions of existence. The several ways to measure the functionality of the living community are tracing energy, the number of species and population sizes, and the mass of living organisms at different levels of consumption of nutrients. Three fundamental physical reactions that depend on the particular properties of matter in which each occurs. Fission occurs in "heavier" matter while fusion takes place in "lighter" matter and fire only in the presence of oxygen.. Each impact is distinguished by three things: 1) the amount of energy required for the event to occur, 2) the mass of the substance acted upon, and 3) the forces emitted as a consequence of each reaction. For example: fission (discovered in 1939), an atomic reaction, occurs only in more massive elements like Uranium. Fusion (discovered in 1940) occurs atomically only in less massive elements, such as hydrogen, helium and lithium and is the power that fuels stars (like our sun). Fire is rapid oxidation where the intermediate carbon based fuels in the presence of sufficient oxygen are transformed chemically, but not atomically. Fire is the initial source of technological changes. The basic "attractive" force in the universe among large bodies. Although Aristotle called it the opposite of the force of "levity," gravity was scientifically explained by Galileo and later mathematically quantified by Newton (1630s & 1687). It may also be thought of as the latent energy inherent in mass, so that the more massive the object the greater the force of gravity that it possesses. The sun's gravity is such that it keeps nine planets, asteroids and comets in "orbit" about its dense core. Einstein argued that gravity and acceleration were indistinguishable properties leading him to suggest that gravity is the force of matter to warp or alter surrounding space. A condition of living things, or complex adaptive systems, where the internal equilibrium is dynamically responsive to changes in the external environment through a series of time related and dependent cycles called feedback. Negative feedback is actually a corrective response to counter the initial situation and positive feedback a continuing response to external stimuli to reinforce the initial conditions. Both forms of adaptive response are necessary for the functional integrity of living beings. Literally from the Greek word "eidos", idol; hence idolatry. meaning to foster an image; also referring to the study of ideas, the imaginative use of language to declare a related set of beliefs: particularly with respect to a political, social, or economic set of beliefs ideology means to tie together the images of symbols and the meanings of political philosophy into a coherent and defensible set of related ideas; a political faith based on particular socioeconomic values. For example: utilitarianism, or socialism, or fascism, or dualism, or ecumenism, or communism, or totalitarianism, or reductionism, or populism are all varieties of beliefs that shape what people believe about the world and how they interpret experiences. 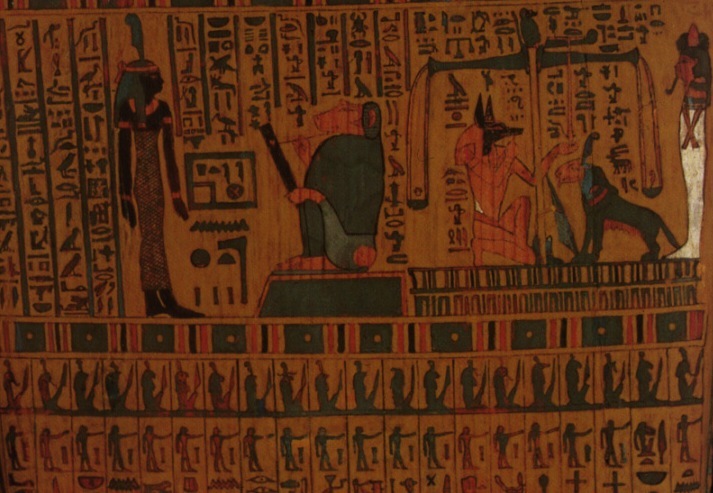 Egyptian scroll showing the last judgment of souls. The ability to apply explicit criteria in order to determine the appropriate, correct, or most beneficial course of action. From the Greek word "kinesis" referring to movement, change or motion. Hence kinetic learners acquire knowledge by doing something, crafting some object, or moving some obstacle. From the Latin word for writing, refers to those educated to read and write. Hence literacy is a measure of the percentage of a population who are able to read and write. 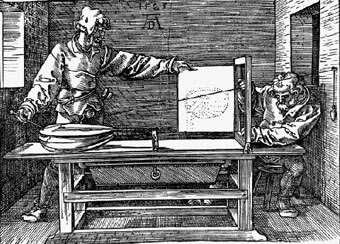 These literate elites, called the "literati" after printing spread in Europe (1540s), were considered well read and familiar with classical and modern languages. Only with the widespread introduction of public education (commencing with Massachusetts in 1840s) did a literate citizenry become possible. The belief since the pre-Socratic thinkers and later stoic philosophers of Ancient Greece that the entire universe is comprised of actual physical objects. They thought that by examining, explaining and predicting the inherent properties, physical behavior or the actual motions of this material we can come to fully comprehend the workings of the universe. Science, especially rational empiricism is based on this material conception of the world. An indispensable figure of speech, meaning a comparison of two unlike things without the use of like or as. The metaphor forms the very basis of critical thinking and basic analysis because it is an unusual and often implied comparison. The post modern behavioral response to the ideas that self reliance and self knowledge are an appropriate virtue to cultivate. 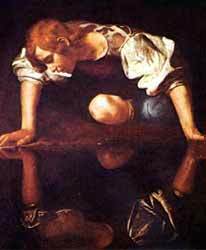 Based on the ancient myth of Narcissus -- the handsome youth who fell in love with his own pretty image -- the current variety of self-preoccupation has been nourished by the Enlightenment belief in atomism (the basic unitary segments of society are not the families but individuals). 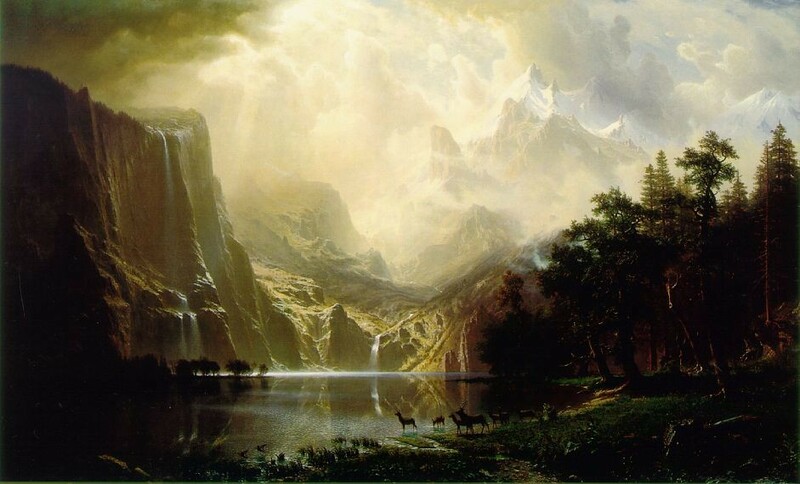 In addition rationalism advocating the individual as a self-reliant skeptic and the illusion of Romanticism that the world is ours solely to enjoy have reinforced the propensity for narcissistic responses to other members of society. It has a maladaptive connotation meaning that narcissistic people are so self-absorbed as to be sociopathic in their ability to ignore other's needs. Referring to a process or a procedure. Used to describe a certain basic level of knowledge restricted to how something works or operates as opposed to a fundamental knowledge of the underlying physical, mechanical or quantum properties behind the operating details we need to understand in order to safely operate, use or control physical processes (fire) or machines (car). Literally the angle of vision, or point of view from which an object is seen. Figuratively the concept refers to an historical change in the practice of painting to render more precise or accurate images of objects. See perspective in art. Also from the Greek word "praxis" which referred to the actual experience of doing particular activities with an aim of perfecting an understanding of materials, techniques, and limitations inherent in the skills of the learner, the context of the medium in which the learner is working and in the power of the substances being used. Also from the Greek word "praxis" the philosophy that suggests that we only know something from its affect; that is what it does, how it behaves, functions or operates. This is a system of thought that rejects idealism and says that material outcomes are what inform our behavior, not inner motive, thoughts or ethical beliefs. Also from the Greek words, sym + bios, meaning together & life; living together. The concept in biology that suggests two creatures, ecological, genetic and evolutionary destinies are linked because the food of one id the waste of the other as they dwell in the same place [See: Lynn Margulis or See Lewis Thomas]. We don't think this way because? The concept from logic means to combine or to bring together in some reasonably understandable manner. Examples of this occur in combining natural history and microbiology in the neo Darwinian Synthesis of the 1940s and 1950s, or the combining of genetics and ecology to understand natural systems. Last Updated on 04/03/2014 .